Development of theoretical and practical didactic-pedagogical aspects related to various topics pertaining to the lines of research, as proposed by the professors in charge of the course and approved by the faculty board. Introduction to underwater acoustics. Acoustic transducers. Elastic constants. Reflection and refraction in geological interfaces. Attenuation and noise. Nature and physical properties of marine sediments. Geo-acoustic models. Bathymetry: concepts and methods. Side scan sonar: concepts and methods. High resolution Seismic: concepts and methods. Sampling techniques. Management of projects of geophysical surveys. Fundamental concepts of sedimentology. Notions of the exogenous subcycle in the formation of sediments and sedimentary rocks. Textural, morphoscopic and mineralogical properties of the sediments. Classification of sediments and of primary and chemical sedimentary structures. Geological, geo-morphological, sedimentological and evolutionary study of a particular sector of the coastal plain, with emphasis on the quaternary superficial deposits, serving as subsidy for the environmental problems resulting from natural processes and the anthropic influence. Statistic methods used as tools of integrated analysis in oceanography. Quantitative data manipulation through parametric and non-parametric techniques. Strategies for transformation, reduction, integration and multidimensional graphic representation of variables and cases. Multi-varied techniques of correlation, ordering, grouping and prediction. Concepts of marine micropaleontology and paleoecology. Sample preparation techniques and analysis of main groups of marine microfossils. Quantitative treatment of paleo-ecological data and techniques of spatio-temporal representation of association of species. Use of Proxies in the reconstitution of paleo-environments of sedimentation, paleoclimates, paleo sea levels, in the environmental analysis and the oil industry. Definition of data, information and knowledge. Spatial Analysis in Oceanography. Selection and organization of data related to the marine environment. Selection of support tools. The ArcGIS Resource Center: extension and 10 tools. Practice of spatial modelling from themes. Database. Modelling of bathymetric features. Variation of the coastline. Analysis of the fractal dimension of coastlines. Fetch calculation. Characterization of marine landscape. Design of the marine conservation units. Predictive modelling of habitats and density analysis. 3D and 4D data analysis. Advanced interpolation of marine substrate. Main oceanographic features of the Tropical and South Atlantic. Tropics-Subtropics connection in the South Atlantic. Thermohaline meridional circulation in the South Atlantic. Subtropics – High Latitudes connection in the South Atlantic. Main modes of variability of Tropical and South Atlantic. Pacific – Atlantic Atmospheric Connection. Influence of the Pacific and the Atlantic on the climate of the Adjacent Continents (South America and Africa). Basic concepts of numerical analysis. Main models of oceanic circulation. Shallow water models. Primitive equation models. Quasi-geostrophic models. Coastal circulation models. Atmospheric Models. Attached Climate Models. Applications of climate models. Introduction to the theory of time series. Probabilistic foundations of stochastic processes. Stationary time series models. Non-stationary time series models. Model identification. Seasonal time series models. Fourier analysis. Spectral theory of stationary processes. Spectrum estimation. Characterization of physical processes and biogeochemical cycles. Microbial loop. Plankton trophic structure in different oceanographic systems. Plankton in great ocean basins, great depths and polar environments. Effect of global changes in the plankton. 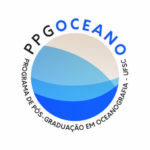 Ecology of plankton larvae and plankton along the Brazilian coast. Fundamental concepts to understand the effect of global changes over the biogeochemical cycles of marine ecosystems. Introduction. Concepts and methods related to the study of the heterogeneous nature of the seabed. Principles and concepts of Geodiversity and Landscape Ecology. Selection and interdependence of descriptors of the benthic layer. Controlling agents of spatial patterns. Methods of direct and indirect investigation. Landscape organization. Analysis of spatial structures. Implications of spatial heterogeneity for the occurrence of mineral resources and establishment of biotypes and habitats. Metrical descriptors, diversity and fragmentation. Structural and functional connectivity of landscape. Tools. Remote Sensing and GIS applied to Geodiversity analysis. Analyzing and applying concepts, theories, models and methods to understand the dynamics of organisms and of the marine benthic environment, including the main themes of applied ecology: functional ecology, biodiversity, conservation biology, global change, environmental pollution, environmental impact, land use, biotechnology, invasive species, protected areas, restoration ecology, handling of species, of environment, of pests and of diseases. Anthropic actions on coastal and marine environments and their environmental impacts. Concepts of environmental impact assessment (EIA). Types of EIA and its different applications. Interdisciplinary nature of the environmental impact assessment process. The social agents involved. Environmental Legislation, public policies and decision-making. Environmental Licensing process: request, preparation of terms of reference and of EIA-RIMAs (Environmental, Social and Economic Impact Studies), technical analyses, public hearings. Prediction of future scenerios. Case studies and practical application of EIA. State and Sovereignty. Constitutional boundaries of territorial sea. Maritime Administrative Law. Maritime authority. Ship. Crew and non-seafaring professionals. Navigation safety. Safeguard of human life at the sea. Introduction to the hydrodynamics of sandy beaches (waves). Introduction to the study of the morphodynamics of sandy beaches. Methods for acquiring data. Assessing the dynamics and coastal works on sandy beaches. The course in which the student must be enrolled once he/she has completed all credits and is only working on his/her own thesis. Development, improvement and assessment of the students’ thesis projects. Deepening of practical and theoretical aspects related to several topics pertaining to the lines of research. Seminar or presentation of themes of current interest.